You can download the design below. Two rectangles of fabric measuring 18" X 7"
1. 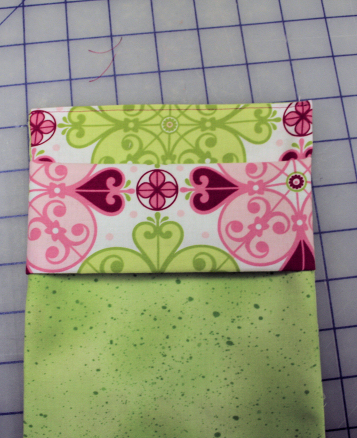 Lay the outer rectangle face down and fold in half to 7" X9" with the fold at the bottom. 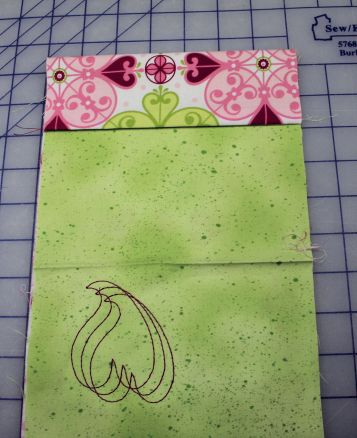 Fold the top edge down 2". 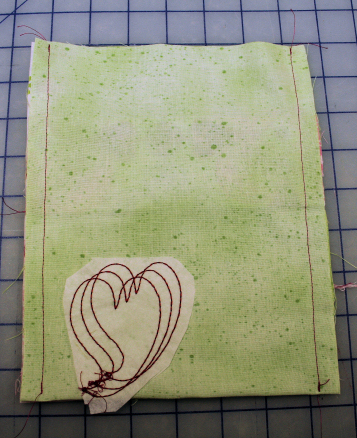 Now decide where to place your design template and pin it in place through the top layer of fabric. 2. Hoop the stabilizer. Use the Lapel Stick around outside edges of the embroidery area and center the design template and fabric in the hoop. 4. Remove from the hoop. Cut away the excess stabilizer. 1. 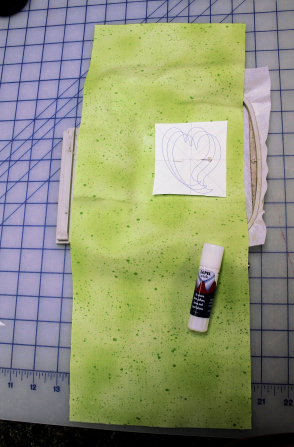 Place the lining fabric right side up on the table with one short end at the top. Place the outer fabric face down on top with the top of the embroidered design upside down. Sew along the top short edge. Turn so wrong sides are together and press the seam. 2. Place back on the table with outer fabric on top. 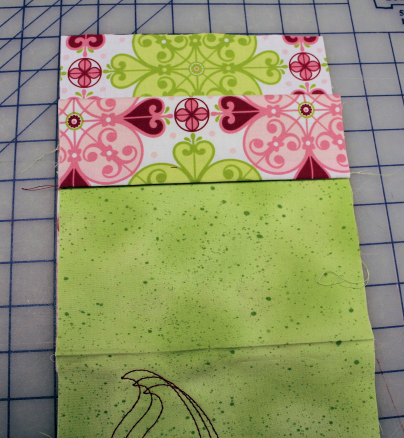 Fold the seamed edge down 2". 3. 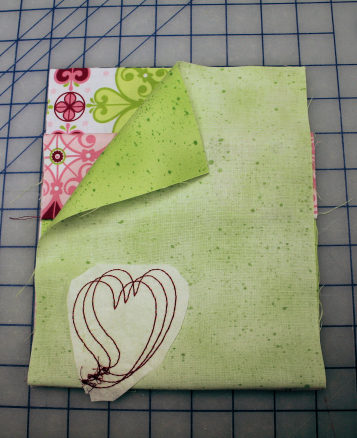 Now reach under and fold the lining so that the other raw edge is about 2" above the upper fold. Lining right sides should be together. 4. Now fold the raw edge of the outer fabric up to meet with the raw edge of the lining. Pin sides. 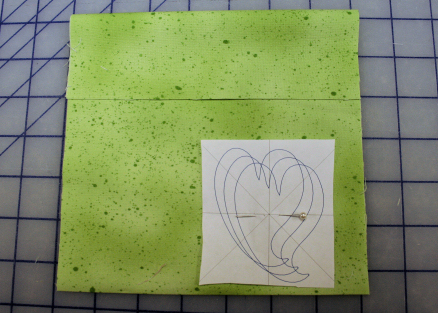 Sew both sides using 1/2" seam. 5. Reach in and turn right side out. Fold raw edges in about 1/2" and press. Top stitch the open edge closed. 6. 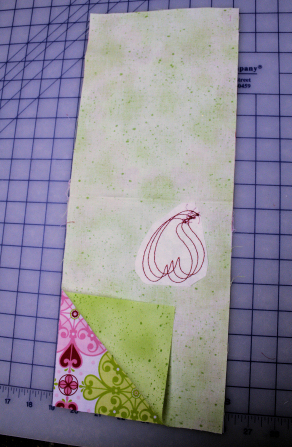 Fold the flap down and turn the folded top over it. Your treat bag is ready to be filled with treats and bring smiles all around. 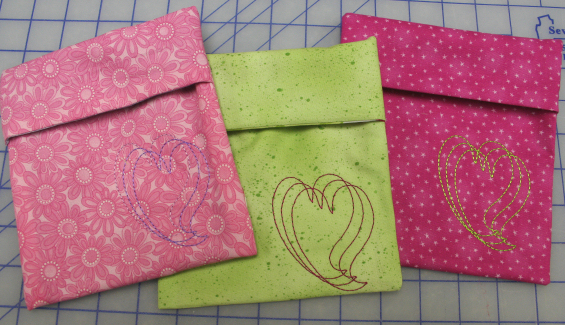 I hope you have fun making these simple little bags with the blurred heart . 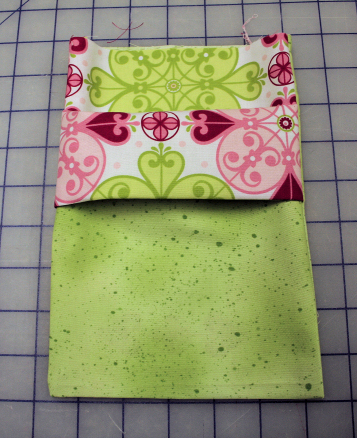 I am going to try a few more using rip-stop nylon for the lining. There are lots of heart designs on Annthegran. 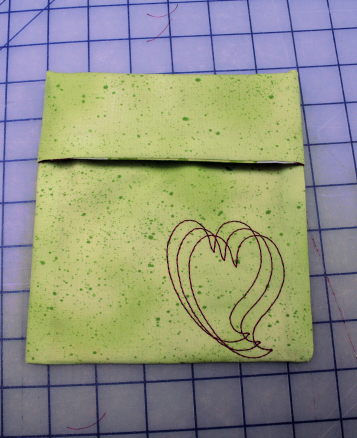 Or use the blurred heart and make a E-reader case for someone special. These photo blocks would be a great gift as well for any Grandma. Use the JOY or create LUV in Alphabet Xpress. Whatever you do enjoy the day - it only comes around once a year.